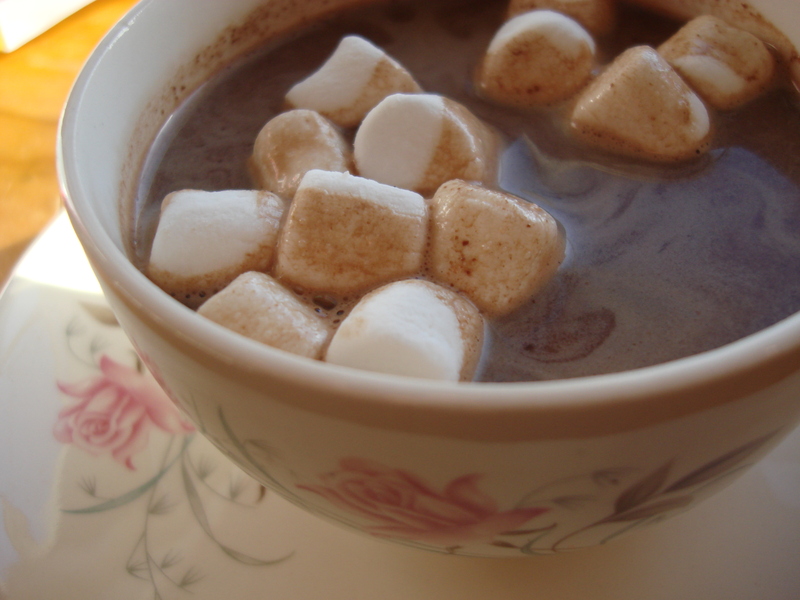 For my six-year-old, it was all about the creamy, sweet, warm yumminess of some homemade hot chocolate. For me, it was all about channeling my grandmother. When I was a kid and my grandmother was still alive, my brother and I would spend part of our summers in Puerto Rico with her in her breezy 10th floor apartment in metropolitan San Juan. Why we would need hot chocolate during the summer in a place which rarely dips below 80°F is an abuela’s own private mystery, but it may be a legacy of the Spanish colonial days when liquid chocolate – a New World treasure — would have been a favorite beverage. Chocolate is a huge part of Latin American history; cacao was born in South America and for more on that you need Maricel Presilla’s The New Taste of Chocolate. 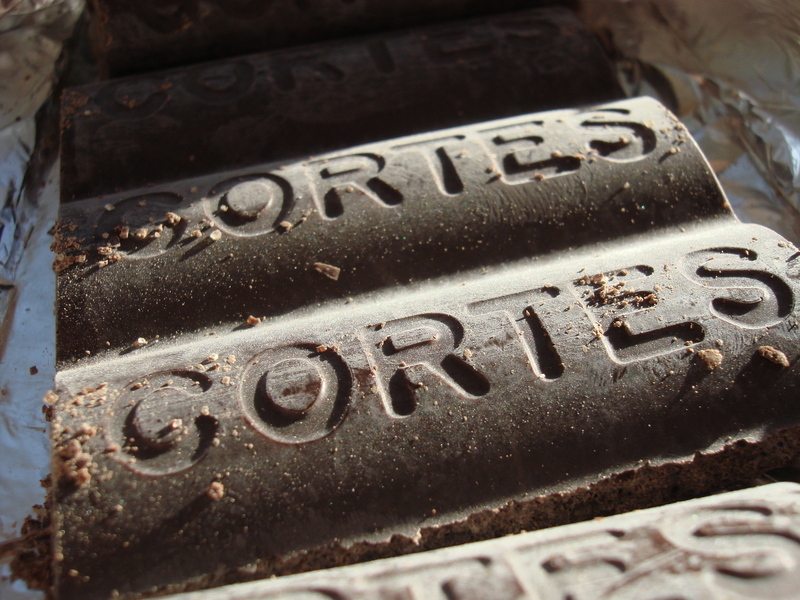 All I know is I have delicious memories of the lovely Old World style package of Chocolate Cortés, a big bar of dusty brown chocolate, and my grandmother breaking off sections and dropping them into a bit of milk. I can still hear the metal spoon swirling against the metal pot as she melted the chunks of chocolate in a bit of milk until it was a thick syrup, then added more milk and served it up in little tea cups with tiny teaspoons. 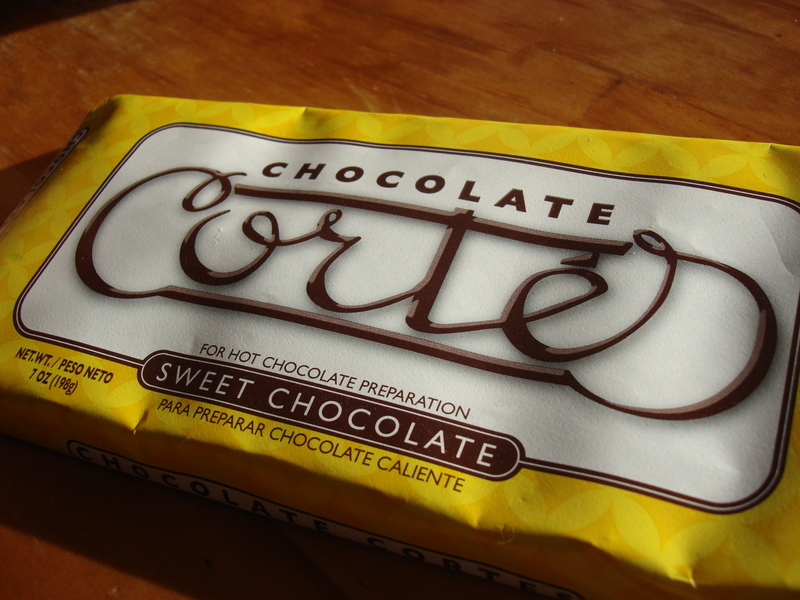 Amazingly enough, in my local suburban Long Island supermarket they sell Chocolate Cortés – which, as it turns out, is a company in the Dominican Republic that began exporting chocolate to Puerto Rico in the 1930s — in the International section, somewhere between the Coco López and dried lentils, and so today when my son got home from school we made hot chocolate the way my grandmother used to do, me stirring up that same sound and those same memories and noticing, not for the first time, that I have her same hard-working stubby-sturdy fingers. “This is the best hot chocolate ever!” said the little man with his chocolate mustache. And yes, although I didn’t have more than a tiny teaspoon to taste, I have to say it was. 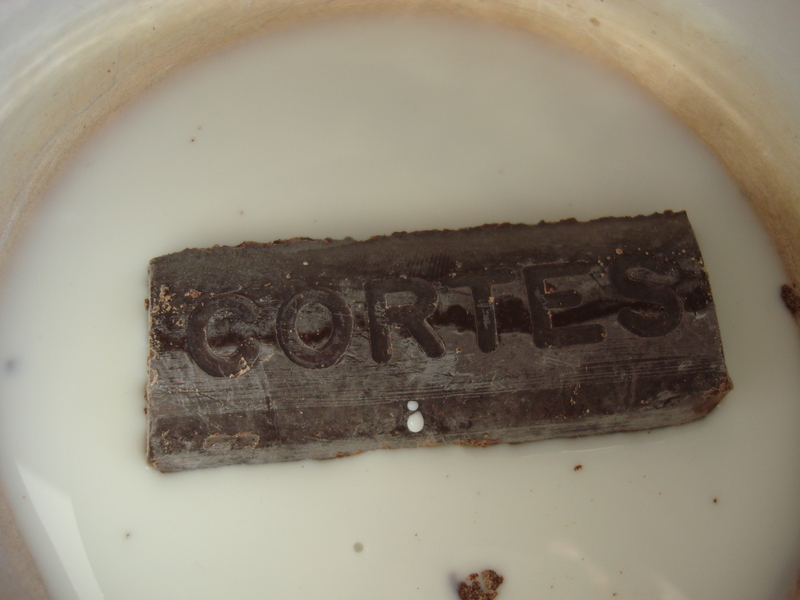 Melt one bar per cup desired in a bit of milk. Stir frequently. When you have a syrup, add one cup milk per cup desired. Heat and serve! Any hot chocolate worthy of a Little Man mustache is clearly worthy of the highest acclaim! wow, such a comforting choco drink!!! 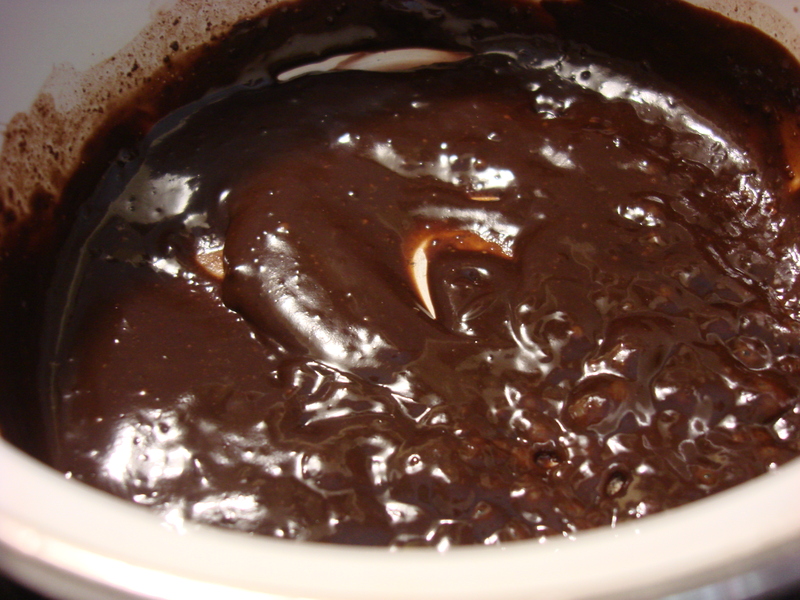 i love making it with 70% cocoa dark chocolate…. I think I would like that even better! this one was more about nostalgia than about flavor…..Thanks for the visit, Dedy!